Andrew Wyeth holds a special place in the annals of 20th century American art, an unabashed realist throughout a period when modernism was king, his enigmatic and deeply personal paintings both confound and delight the viewer; the author here refers to their “strange realism”. 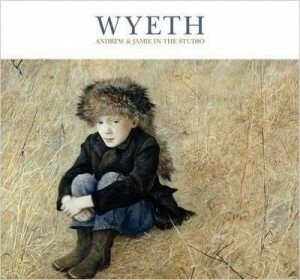 Similarly his son Jamie eschews the abstract in his work, revelling in the illustrative heritage passed down through his family tree from his grandfather, the great artist/illustrator N.C.Wyeth. The artistic differences and similarities of father and son have been well studied over the years, but in this volume the author looks at their very different studio practices, the motivations and techniques behind the art that makes them both so distinctive and yet inseparable. 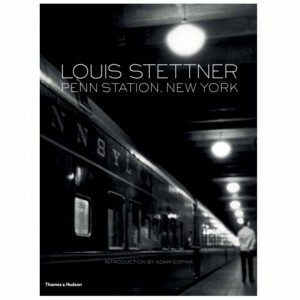 This beautiful book of photographs by American photographer Louis Stettner is full of ghosts, travellers passing through the glorious Penn Station in New York City a mere five years before it was controversially and tragically demolished. The building is not the subject of these beautiful black and white photographs however, rather it is the people passing through, or working, or just waiting, all captured in their particular moment in time. 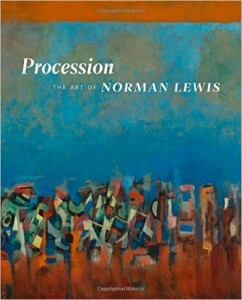 African-American artist Norman Lewis moved away from his early social realist style of the 1930s into a colourful and vibrant form of abstract expressionism after the Second World War, when he became disillusioned with the pace of social change in America, and the seeming inability of art (or at least his art) to inspire significant upheaval. An activist throughout his life, he refocused his artistic energies on the refinement of his aesthetic practice, embracing abstraction as a way of celebrating form, colour and movement in his own very personal way. This somewhat unexpected biography from Donald Spoto focuses on the life and career of an actress who graced any movie she appeared in but whose star has faded over the years. 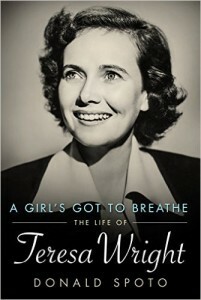 Extremely highly regarded by lovers of the golden years of Hollywood, she worked with great directors such as William Wyler, Alfred Hitchcock, Raoul Walsh and George Cukor, and was nominated for three Academy Awards for her first three movies, a virtually unique accomplishment. We are accustomed to seeing biographies of sacred monsters such as Bette Davis and Joan Crawford, people who ate the scenery on and off the screen, so it’s lovely to see an account of an actress who simply wanted to act and whose life, while not uneventful, was not entirely focused on fame and its trappings.